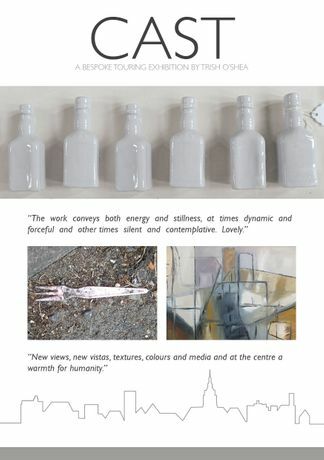 Trish O'Shea bespoke touring exhibition. Trish O'Shea is a Sheffield based artist. She has been touring her solo show CAST which is bespoke to each venue. O'Shea explores each city is tours and makes specific work in relation to her findings. This body of work is made up of plaster cast sculptures, prints, drawings and text.